“But still the Voice sounds and searches. The order and life of the world depend upon that Voice, but men are mostly too busy or too stubborn to give attention.” (A.W. Tozer, The Pursuit of God, p. 74). In 2009, two veteran pilots, having overshot their destination in a very public way, had their licenses revoked by the FAA and were fired by their airline. The pilots admit to becoming distracted enroute – losing communication with air traffic control…too busy…to give attention. Having relinquished control of their aircraft to the automatic pilot, with their attention turned elsewhere, they gave no apparent thought to the condition of their aircraft, its position, or the 144 passengers in their trust. Many pilots, including myself, find it inconceivable that such experienced airmen could have flown for 91 minutes – an eternally long period of operation for a jet aircraft – without “checking in” (pilot lingo for contacting the controller). Prolonged ‘radio silence’ can actually be quite LOUD – even abnormal – to the seasoned pilot who should instinctively be attuned to a void in communication. Traveling at over 500 miles per hour, traversing multiple airspace sectors without re-tuning their radios, eventually this crew was unable to hear the air traffic controller’s voice sounding and searching for them. The order and life of the world – at 37,000 feet – depends upon that voice – the Controller – providing safety, carefully guiding an aircraft toward its destination. Our world offers endless opportunities through which to engage our focus and tune out God. Whether passive, or active – it’s always a choice. We put our minds in a holding pattern with television, music or internet; medicate or numb our pain with alcohol, food, or drugs; become workaholics, or obsessed with hobbies, sports, etc. Constant are the temptations that seek to distract, divert attention and become idols; to cause us to stumble or crash. Whatever the source…no one can serve two masters… (Mat 6:24a). Modern jet aircraft can remain aloft over thousands of miles, through multiple time zones, transporting passengers around the world. Rather than manually “flying,” however, pilots spend a lot time watching and waiting: ‘hmmm...the beef or the chicken?’ At cruise altitude, onboard computers steer the aircraft along a programmed path and maintain it’s mechanical systems, while pilots are as watchmen, monitoring progress: ‘I should pass on the dessert cart…you say it comes a la mode?’ While such automation generally enhances safety, especially in high-workload phases of flight, it also contributes to complacenzzzzz: ‘…this layover has those “heavenly” bedzz…’ The mind is prone to wander; boredom and fatigue can easily set in – among the best of airmen, even the Apostles. We all must acknowledge our vulnerability for, indeed, the flesh is weak. Vigilance is defined as being “keenly watchful; wary: as a vigilant sentry. Ever awake and alert: sleeplessly watchful” (dictionary.com). Sober vigilance is vital to the safety and integrity of any operation, maintaining a focus that is purposed, diligent and constant. Elevated awareness comes through scrutiny and examination; scanning the instruments and cross-checking the indications. Safeguards must be employed – together with habits and disciplines, however routine or mundane…or longsuffering (Gal 5:22) – that establish and strengthen our operation – and our life. Airlines have developed guidelines and standard procedures (SOP’s) over time – and in the aftermath of accidents and incidents – that methodize crew duties, actions and expectations, providing thorough checklists and memory items that mitigate threats and trap errors. Of course, most pilots don’t intend to overfly their destination or stumble off course, but it becomes more likely when vigilance is interrupted, absent safeguards, and without a positive delegation – an awareness – of aircraft control. While some procedures and disciplines may seem ridiculously simplistic, unfortunately, there are too many “smoking hole” reminders where, literally, nobody was flying the plane. Who is Flying the Plane? Tragically, in the cockpit of Eastern Airlines 401, the question of who was flying the plane remained unanswered – for nearly six minutes – while the huge jet descended into the Florida Everglades on a dark night in 1972. 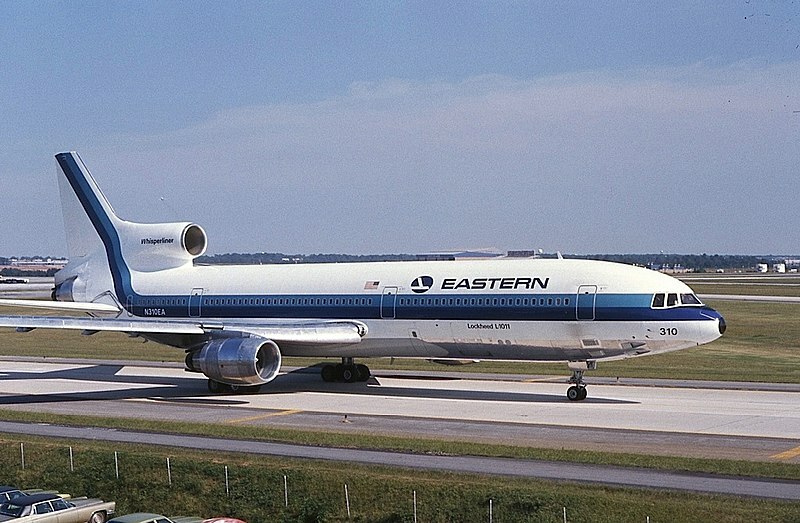 In reality, nobody was flying, or watching… The mighty, Lockheed L-1011 TriStar hit the ground, with all three of its big engines operating normally, killing 101, of the 176 on board. If only that bulb hadn’t burned out… A single, 50-cent bulb (inflation-exaggerated estimate) – in the nose landing gear position indicator – was the only obstacle to a safe landing in Miami that night. Well, not the only obstacle: Distracted in their troubleshooting of the light, without ensuring safeguards, crew vigilance was lost. The truth is, in life, there will be many burned out bulbs – countless opportunities for distraction. But we don’t have to lose awareness – overshoot our destination – or end up in a smoking hole. In our Christian walk, we need to – take heed – remaining vigilant, using the resources God has provided while keeping our focus upon Him – always seeking to imitate His Son by the power of the Holy Spirit. Tozer, A.W., The Pursuit of God, 2009. A New Year in Christ!